Looking for a unique dining experience on your next trip abroad? The Hurawalhi Island Resort in the Maldives just installed the world’s largest underwater restaurant, which offers breathtaking views of the sea floor. 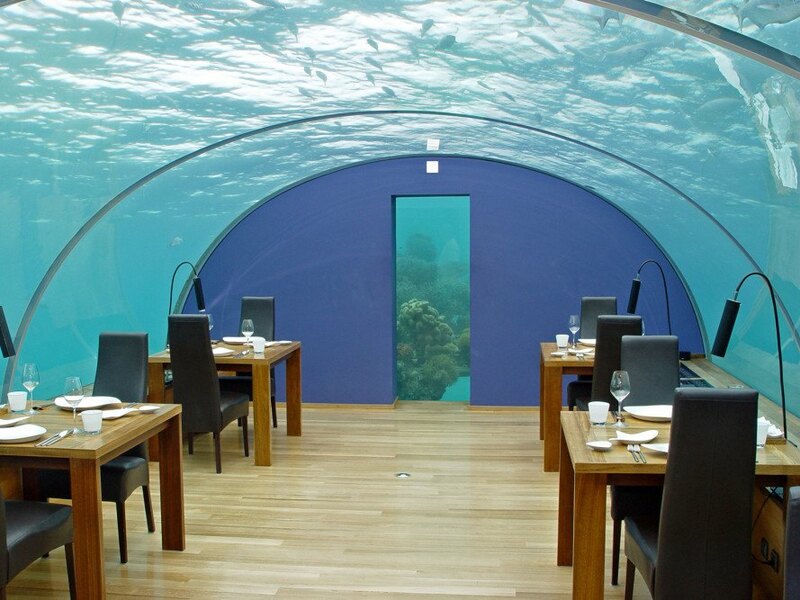 While most underwater restaurants can only accommodate about a dozen people at a time, Hurawalhi Island Resort’s new dining room will be able to seat 30 when it opens in August 2016. The restaurant consists of a steel structure with a transparent, acrylic dome that will allow diners to see marine life passing by. 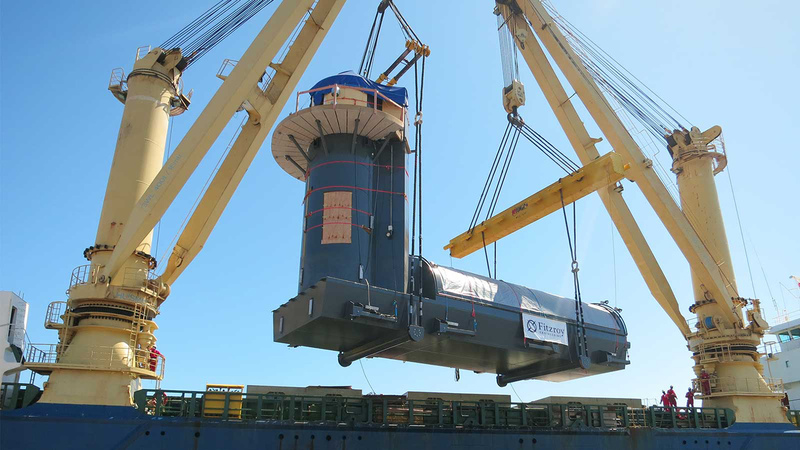 It will sit near a shallow coral reef on the Lhaviyani Atoll, although shipping company Jumbo claims that they carefully planned the installation to avoid impacting the surrounding environment. The dome itself was designed by MJ Murphy, an Auckland architectural firm known for their innovative and immersive aquariums designs, and the minds behind a smaller undersea restaurant at the Conrad Maldives Rangali Island resort. (See the photo below for a glimpse at this smaller sister restaurant for an idea of what the Hurawalhi installation will look like when it opens!) The actual construction was handled by Fitzroy Engineering. All told, the structure is 22.5 meters (74 feet) long with a weight of 410 tons, and reportedly took 10 months to build. Diners will be able to access the restaurant from a hut above the water, which connects to the restaurant via a 13-meter (43-foot) spiral staircase. Since there’s little room for a kitchen, the food is actually prepared onshore and shipped over through a specially-designed dumbwaiter. (Hopefully the food is still hot after its journey down!) The venue will be available for wedding receptions, and can even be transformed into a honeymoon suite for the truly adventurous couple. 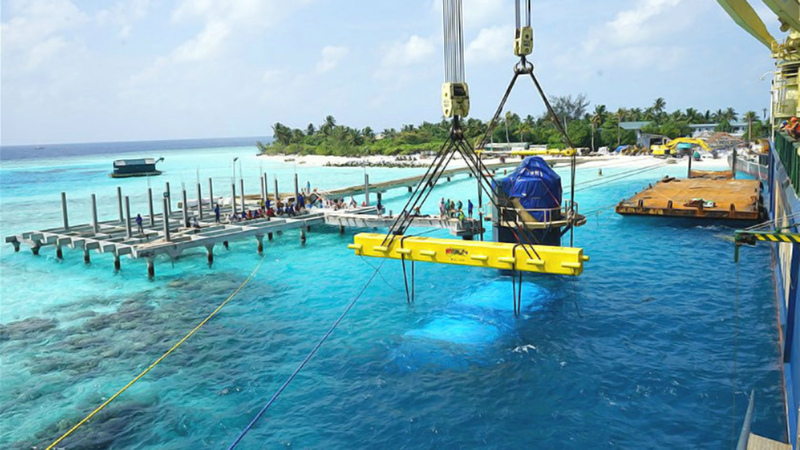 The Hurawalhi Island Resort in the Maldives just installed the world's largest underwater restaurant, which offers breathtaking views of the sea floor. The structure prior to installation. The Ithaa restaurant, a smaller structure designed by the same engineers who created the new restaurant for the Hurawalhi luxury resort, gives a glimpse at what the new restaurant will look like. The restaurant being installed offshore.